I have two fantasy romance series. If you’re new to my work, which one should you start with? Both series feature magic and strong heroines and are generally bright in tone with some darker moments. Both series include award-winning books (Assassin’s Gambit: 2011 Golden Heart® Finalist; Spy’s Honor: 2014 Prism Award; The Fire Seer: 2012 Daphne du Maurier Award). 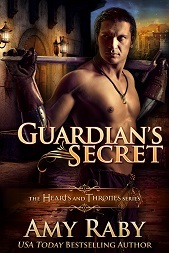 The Hearts and Thrones series is set in the late 1700’s, with carriages and early gunpowder. Bows and swords are still in use. Each novel is a self-contained romance about the ruling family of Imperial Kjall, and there is an overarching story that progresses slowly over the course of the series. This series has four novels and one novella already released. More are planned. The Coalition of Mages series, by contrast, is set in the Bronze Age, circa 2400 BCE, in a fantasy world inspired by the Indus Valley Civilization. It’s also a mystery series. While the romance between Taya and Mandir is prominently featured, they are also Bronze Age sleuths who solve a murder in each book. Only the first novel in this series has been released so far; more are planned.